Simple Forums offers reliable, secure and free simple machines forum hosting through on a premium network. All forums come in the platform of the Simples Machines Forum Software. We use the latest versions of the software so that you're always up to date. You will never need to worry about upgrading or performing higher time consuming administrator tasks to keep your forum running. Simple Machines Forum (SMF) is a reliable and user-friendly forum application written in Php and MySQL and is available free of cost. As compare to other forum applications, SMF has more advanced control panel which allows to create smaller or larger communities. It gives you control to do forum settings like forum topics, categories, member settings, layout settings, forum news.etc. The SMF infrastructure is well designed, categorized and explained which makes it easier for forum administrator to manage it. 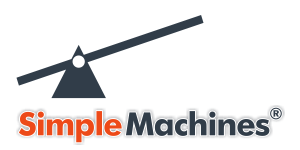 SMF® and the Simple Machines logo are registered trademarks of Simple Machines - Simple Forums is not affiliated with or endorsed by Simple Machines.